Teddies, you have got to love them. My girls love them, just like every other child and there is no sign of this love stopping. 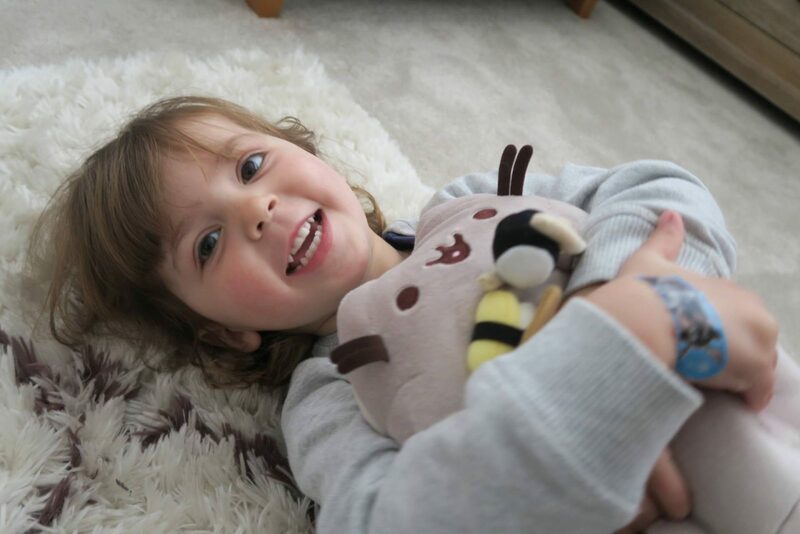 Whenever they get given money for their birthday or Christmas and you ask Alice what she wants to buy, 90% of the time her answer will be a teddy of some kind. 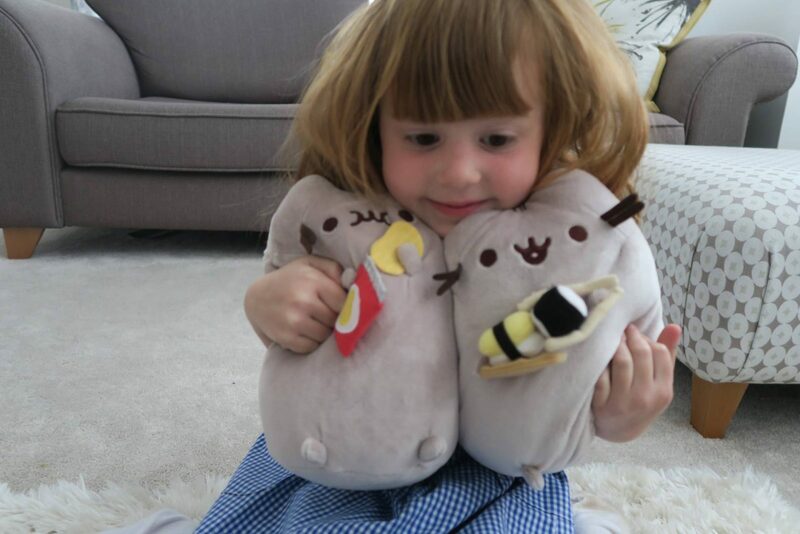 When I was asked if the girls would like the new Pusheen’s I knew that I couldn’t say no, I knew they would be a hit in our house. Wondering what Pusheen is? She is a chubby grey tabby cat that loves cuddles, snacks, and dress-up. You may have seen the stickers pop up on Facebook to attach to comments. Pusheen Cat was created in 2010 by Claire Belton and Andrew Duff for a comic strip on their website, Everyday Cute. Its name stems from the Irish word puisín, which means kitten in Irish. With over 9 million Facebook likes (WOW! ), Pusheen is the star of her own extremely successful animated web comic series made to look like a self-run blog, featuring the chubby cat in a variety of cute and funny situations, often giving advice and suggestions on popular culture and social media, all from a feline point of view. The girls were very excited when they saw there own Pusheen. Alice is a very observant little girl and she immediately said there was a picture of one on her nail varnish bottle, I checked and she was right! 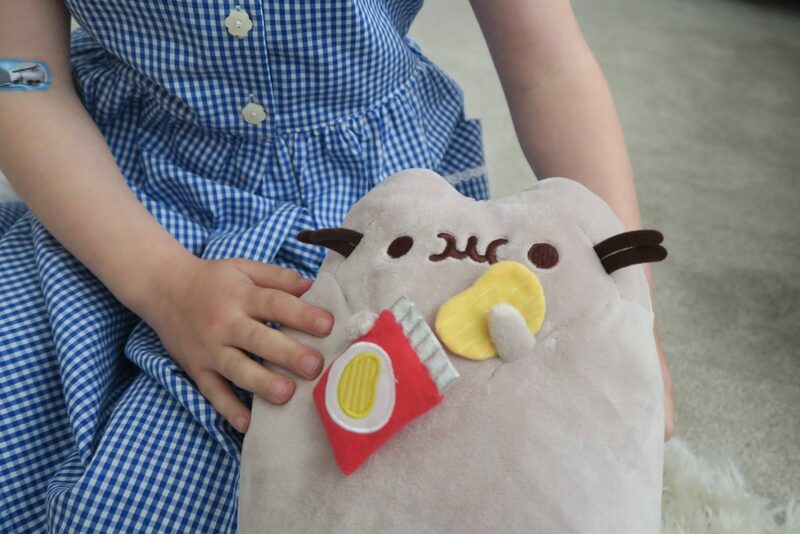 Alice got the Pusheen Potato Crisp cat, she satisfies her hunger with a crisp in one hand and a bag of crisps in the other hand. The bag also crinkles when you touch it. Holly got the Pusheen Sushi and she is holding a sushi roll and chopsticks. Which is so cute! They are hand washable and suitable from age one. They are really soft to touch and the girls loved snuggling up to them. They are now a firm favourite and they love making little games with them and because they are really soft, they take them to bed for a cuddle. In the new range there is also a Pusheen with a pizza slice, which looks cute too and maybe one for daddy who loves pizza! 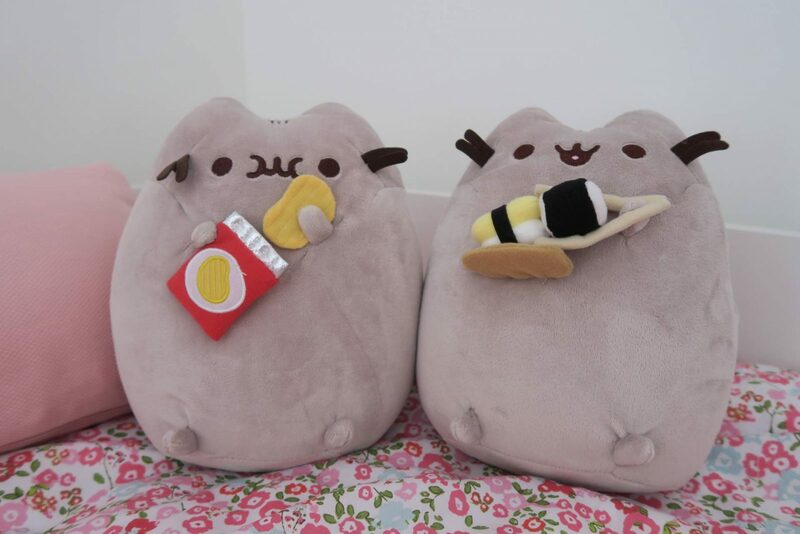 You can buy these Pusheen and many more at GUND UK, they have a full range of Pusheen products. These Pusheen have a RRP of £24.99. The Pusheen Sushi is available to buy now and the Pusheen Potato Crisp is available from 4th July, but you can preorder it now. 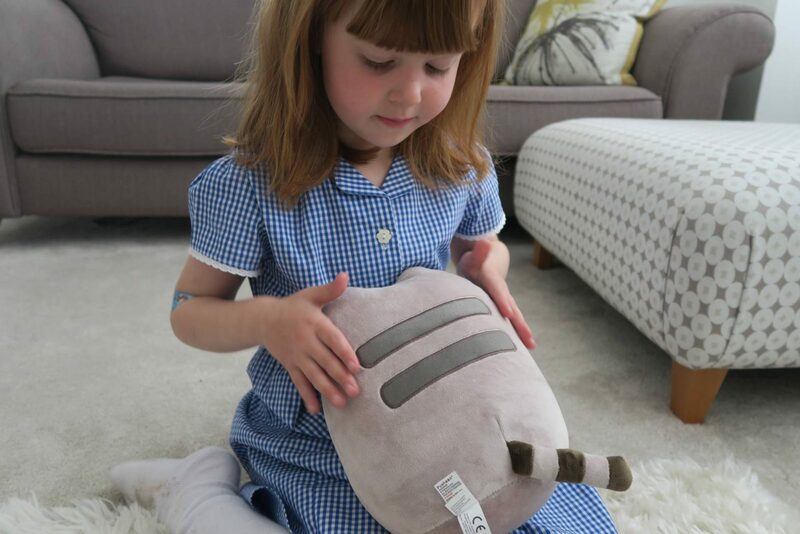 We are now big fans of Pusheen and I can see more of this cute cat being added to our collection. 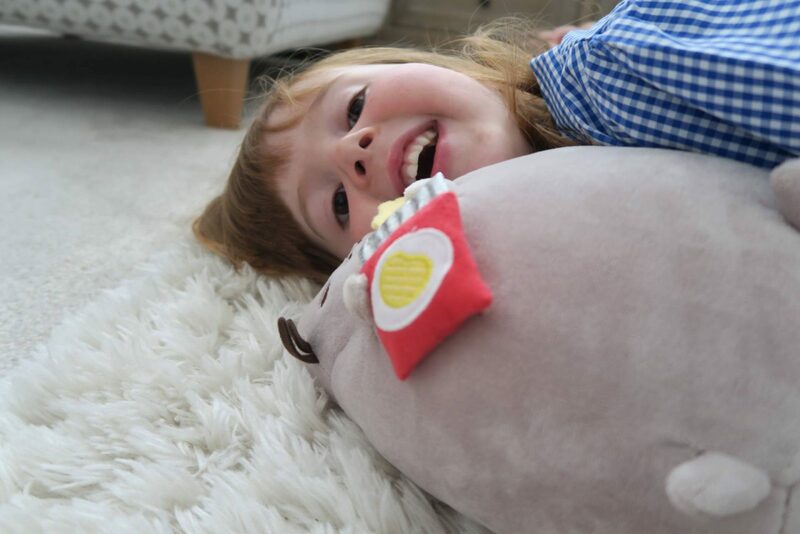 Disclosure: We received our Pusheen’s in return for an honest review. As always all views and opinions are my own. I’d not heard of Pusheen before but it looks really cute! I so want one for myself ha! Such a big kid, but they are soooo cute.